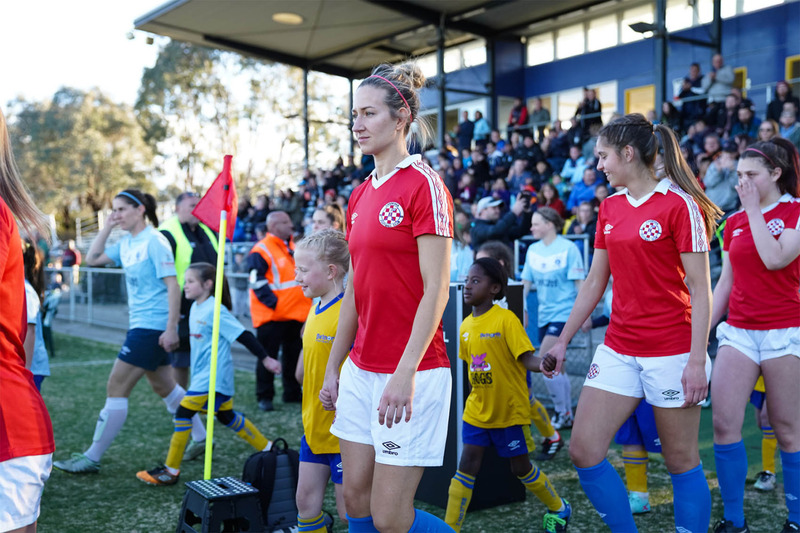 After an injury riddled 2018 campaign where they lost seven starters to season ending injuries, Canberra FC are ramping up preparations for another shot at the NPL Women’s Capital Football title. The squad began pre-season in recent weeks with almost a full squad on deck, and Grace Gill said she is excited to see what a largely retained squad can achieve in the new season. “There’s been no major changes for us, and I see that as a really good thing,” Gill said earlier this week. There is a new face on the sideline this year for the Grand Final runners-up, with Mark Risteski stepping aside at the end of 2018. He has been replaced by Nik Brozinic who has coached in the Junior NPLW ranks at Canberra FC in recent years and will make the step up to the Premier League in 2019. Brozinic is a well-known face around the club and has got off to a good start with his new charges. From the outside depth appeared to be a concern last season as the squad struggled with serious injuries, but younger players stood up to fill gaps as the team made their way to the Grand Final, something that Gill says has given them confidence in their squad build this season. Injury prevention and fitness have been key items in pre-season so far, with Brozinic looking to ensure there is no repeat of last season’s awful run. After winning the Open Women’s Division at the 2018 Croatian Cup and Gill taking home the Golden Boot their next competitive fixture will be a blockbuster round one clash with treble winners Belconnen United and Gill said it serves as an important marker for the team. “I think that game is always a good indicator of where we are at to start off the season,” she said. Canberra FC and Belconnen United will meet in round one of the NPL Women’s Capital Football 2019 season on Saturday, 30th March at McKellar Park.